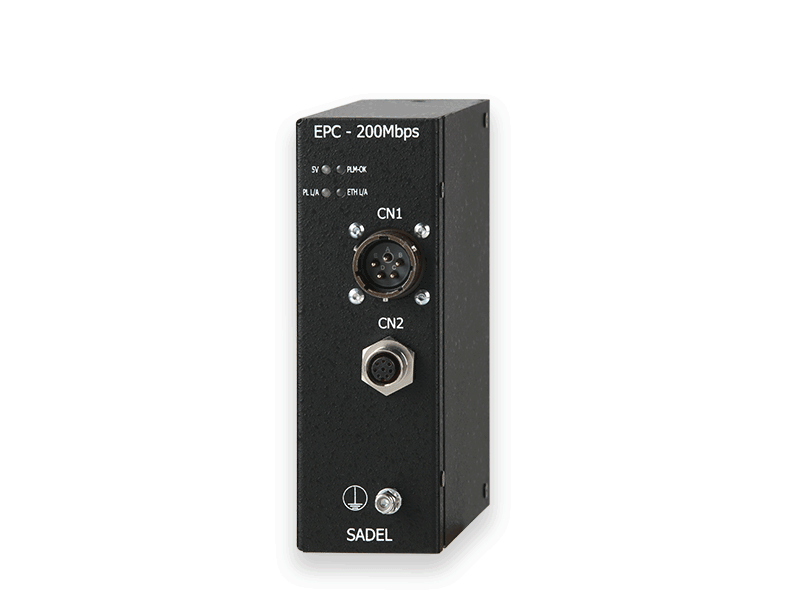 The Ethernet PowerLine Converter (EPC) allows the creation of a bus architecture for an IP Network. 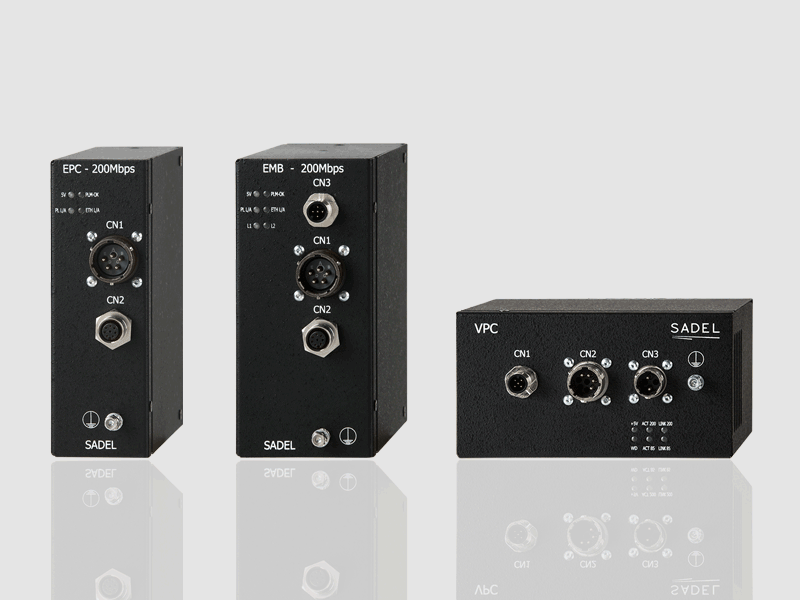 The Media converter module is designed to operate in railway harsh environments that efficiently extends 10/100BASE Ethernet circuits over a 2-wires cable, coaxial cable or shielded/unshielded twisted pair wires. The network speed depends on the used physical layer, the train length and vehicle interconnections; it can vary from hundreds of kbps up to 200Mbps. The module operates in compliance with HomePlug AV specification. The EPC functions at temperatures ranging from -25 °C to 70 °C. This solution can create a data communication network without installing additional data cables between train’s vehicles and along the coach. The Ethernet Managed Bridge (EMB) allows the creation of a bus architecture for an IP Network. 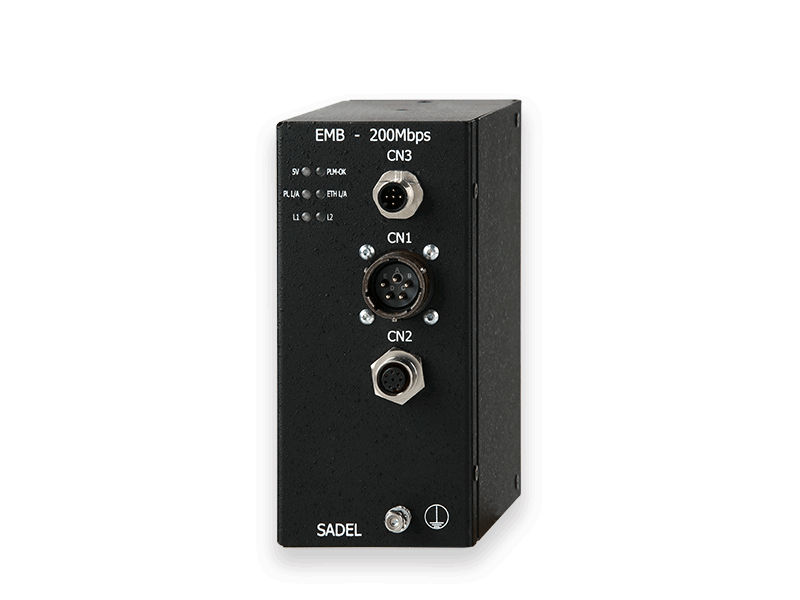 The EMB is designed to operate in railway harsh environments that efficiently extends 10/100BASE Ethernet circuits over a 2-wires cable, coaxial cable or shielded/unshielded twisted pair wires. The network speed depends on the used physical layer, the train length and vehicle interconnections; it can vary from hundreds of kbps up to 10Mbps bidirectional data rate. The module operates in compliance with HomePlug AV specification. The device works at temperatures ranging from -25 °C up to +70 °C. This solution can create a data communication network without installing additional data cables between train’s vehicles and along the coach. VPC is a Vehicle Communication Gateway Box between train level and coach level realized with the PowerLine technology. The vehicle level communication can be implemented with Ethernet interfaces. The Vehicle PowerLine Communicator can create a communication network for passenger information system devices without installing additional data cables between train’s vehicles and along the coach. The wires used by the VPC can be a simple power supply cable, a coaxial cable or shielded/unshielded twisted pair wires. The network speed depends on the used physical layer, the train length and vehicle interconnections; it can vary from hundreds of kbps up to 200 Mbps. The system offer the possibility to have a double PowerLine train backbone for redundancy and fault tolerant purposes. The VPC can be customized with simple or advanced user interface and boxed or rack mountable mechanics to satisfy customer requests. 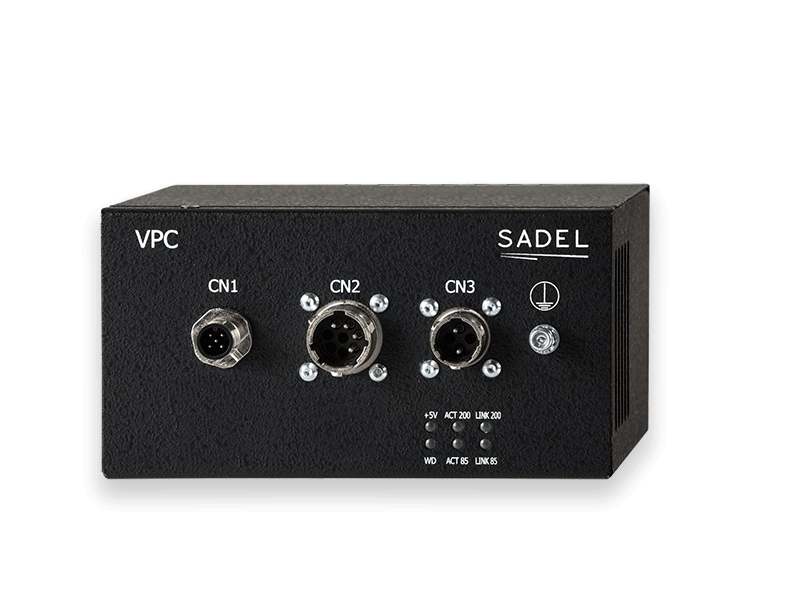 The VPC is an high-speed and cost effective alternative solution to WTB-MVB communication node.